This week at WVUD, we’re airing a repeat of a live performance from Phoebe Legere. Legere is a blues and folk singer-songwriter with many talents ranging from playing the accordion to conducting symphony orchestras. Throughout this interview we hear all the many stories behind Legere’s music and more. Phoebe Legere, recorded on August 8th, 2017. Aired on October 24th, 2017. 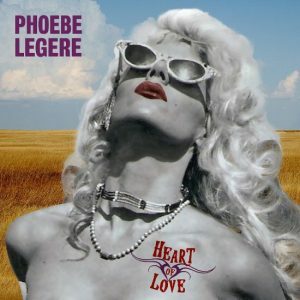 Phoebe Legere had her first debut at 16 in Carnegie Hall and had her song “Amazing Love” featured in the Top 40 of Adult Contemporary in 1997. Not only is Legere a talented singer-songwriter, but she also has stared in a her fair share of independent films including, “Mondo New York,” “Toxic Avenger 2,” and “Toxic Avenger 3.” As if preforming at Carnegie Hall wasn’t enough, Legere also had the honor of opening up for David Bowie during his national tour in 1991, and was later nominated for a Pulitzer Prize in music.